The Dig @ Bottom of the Hill Tonight! 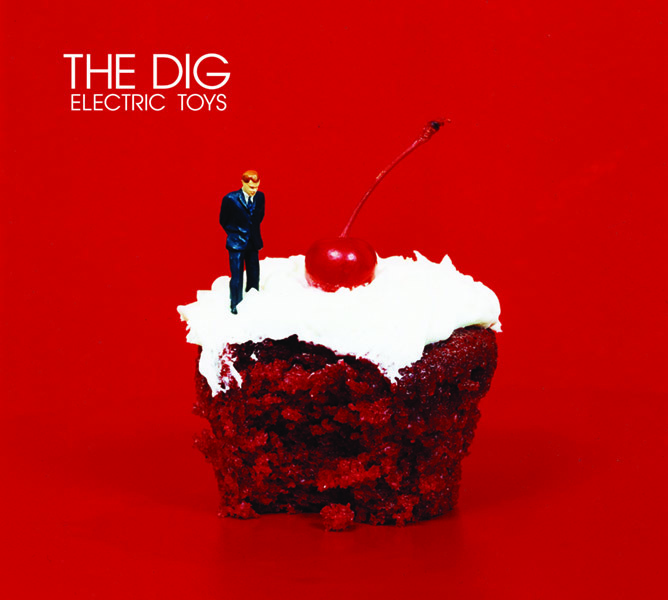 This may be the first time you’ve heard of The Dig but it definitely won’t be the last. Mark my words, these guys are going to be huge. The debut LP from the NY-based quartet is good, really good. One of my favorites for 2010 so far. Suffice it to say, I really dig The Dig. The similarities to other well-known NY bands like The Strokes and The Walkmen are obvious. They have a straightforward rock and roll sound with a pop sensibility. And man can these guys play their instruments. Just take a look at the video a recent live session and see for yourself. Reportedly all grads from the Berklee School of Music, they clearly take their craft seriously, as do others. Check them out tonight at Bottom of the Hill! I’m pretty much a sucker for anything filed under the murky category of ‘lo-fi’ but I particularly like the genre-bending twist the Brooklyn-based group calling themselves, Woods, puts on it – which is a combination of lo-fi, psych rock, jam band and Neil Young-tinged folk. It sounds ridiculous but it works in a delightfully quirky and unpredictable way. For just when you think you’ve got their sound figured out – fuzzed out guitars, off-kilter vocals – they’ll throw in a nine minute guitar jam (“September With Pete”), a great cover (Graham Nash’s “Military Madness”), a melancholy ditty (“Rain On”) or an experimental instrumental (“Echo Lake”). Wrap all that together with the hazy ambience of cassette tape recording and you’ve got yourself an album worth listening to. Trust me. For those in the Bay Area, Woods is part of a stellar bill of music planned August 30 at Bottom of the Hill also featuring Kurt Vile and Dungen. Wow. There is an absolute stellar line of music happening tonight at Bottom of the Hill featuring London-based The Veils, So Cal up and comers Foreign Born and Cleveland buzz makers Other Girls. Two of whom also happen to be the creators of my more beloved albums this year. Why the hell this show isn’t sold out is beyond me. It’s quite possibly one of the finest line ups I’ve seen all year. So if you’re SF-based, I highly recommend you get out to see it. Regardless of where you live, you should definitely add these albums to your collection. The Veils frontman and songwriter, Finn Andrews, makes me swoon. His voice is stunning, his lyrics are soul baring. Couple that with a heady rush of guitars and you’ve got yourself ballad rock epitomised (nod to the Brits here with that spelling). For a band that constantly earns comparisons to Nick Drake, Morrissey and Jeff Buckley, it’s almost incomprehensible why they are not a bigger deal. Sun Gangs is their third release and I would go so far to say it might be one of the sleeper albums of 2009. And now for a little music trivia. Did you know that Finn’s father Barry Andrews is a renowned musician himself? Playing with the likes of XTC, Brian Eno, David Bowie and Iggy Pop. Foreign Born started in San Francisco in 2003 after singer Matt Popieluch and guitarist Lewis Pesacov graduated San Francisco State University. After playing a few shows, the pair went down to LA to clean up their rough demos. The results were promising enough for Lewis and Matt to quit their menial jobs and move down to LA where the current line-up of Foreign Born was, yes, born. Their first LP, On The Wing Now, was released in 2007 and their latest effort, Person to Person, just released last month. I adore their first single from the album, “Vacationing People” and had the chance to see them perform at SXSW earlier this year. Judging by the number of recognizable faces in the audience at that show, it was evident that I’m not the only one who loves them either. After all, if Grizzly Bear’s Ed Droste deems you as his “favorite new band”, you must be doing something right. San Francisco’s 7×7 Magazine has now stepped into the mix to shed some light on our city’s battle to keep our cherished all ages music venues alive – such as Bottom of the Hill, Slim’s, The Fillmore and Cafe du Nord. Stay involved and on top of the latest developments on this issue by joining one of the groups on Twitter or Facebook.